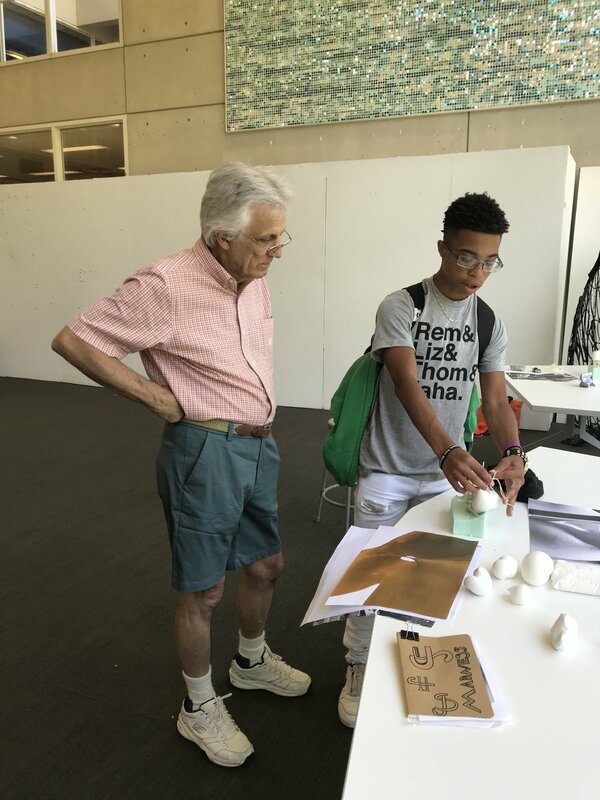 Thanks to a sponsorship by McCarty Holspale McCarty architecture firm (MHM), Javell Swanson, a student in our Calling and Career Ministry, spent a week on UT’s campus at the Design Matters! Camp getting an introduction to the field of architecture and design, problem solving in a creative way, and meeting other high school students with similar interests. The Calling & Career Ministry is a network of after school learning centers that provide academic support services to high school students as they walk through high school and transition to post-secondary experiences. Q: Can you tell me about the UT architecture camp sponsored by McCarty Holsaple McCarty (MHM) architecture firm? A: The camp was an eye-opening experience. I learned the how’s and the why’s of architecture. Q: What type of projects did you work on and what are some things you learned? A: The camp allowed us to work on models, draw, experiment with 3D printings and go on site visits. I learned that it takes more than two to tango….I had to ask 7-8 people on how I could improve my design. It was a new experience for me to ask that many people for help. Q: What was your favorite part of the camp? A: My favorite part of the camp was being challenged to think more unorthodox than I usually would. For example, I made a balloon shape into something different and then had to explain why I did it this way. Q: How did you become interested in architecture? What do you like about it? A: My interest in architecture came from Lego sets, log cabin sets and building with blocks. I loved designing! I could take a house and transform it into a fortress or take abridge and turn it to a stronghold of some sort. Q: How long have you been involved with Emerald? A: I have been involved with Emerald’s faith, learning and health programs growing up. Through the Calling & Career ministry, I was able to connect with the Design Matters! Camp with the help of MHM. Q: What are your future career ambitions?